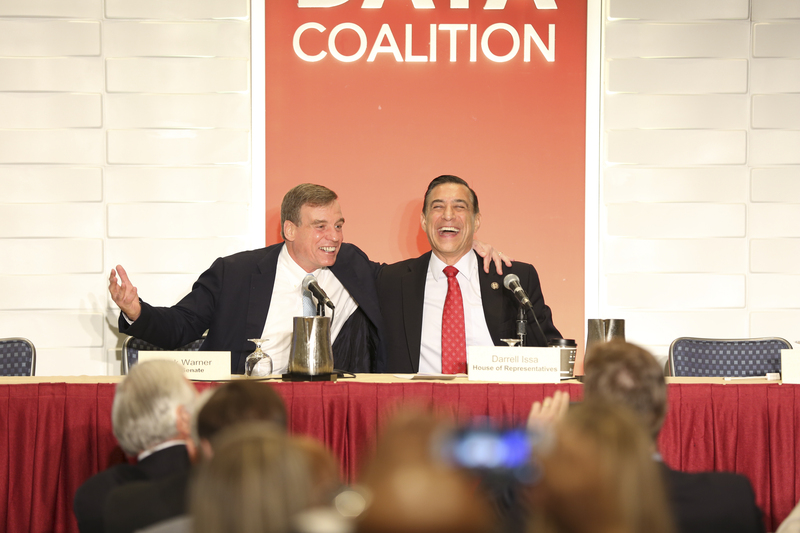 The third annual DATA Act Summit, hosted by the Data Coalition and the Association of Government Accountants, brought together supporters of the open data transformation from across government and the private sector. DATA Act Summit 2016 – Welcome from Data Coalition on Vimeo. DATA Act Summit 2016 – Congressional Data Demo from Data Coalition on Vimeo. DATA Act Summit 2016- Congressional Keynote from Data Coalition on Vimeo. DATA Act Summit 2016 – Leadership Panel from Data Coalition on Vimeo. DATA Act Summit 2016 – Federal Keynote from Data Coalition on Vimeo. DATA Act Summit 2016 – Special Treasury Demo from Data Coalition on Vimeo. DATA Act Summit 2016 – Plenary Address: Liberating Data from DUNS from Data Coalition on Vimeo. We’ve compiled one slide deck with most presenters’ slides! To view the slides, click here. Breakout 3: Recipient and Nonprofit Reporting: To view the slides from Gavin Hayman’s presentation, click here. On May 25th, Data Coalition members will gathered on Capitol Hill for a DATA Act Demo Day, showing how standardized spending data can deliver transparency, better management, and automated compliance. NOTE: The DATA Demo Day is open to the public. On May 26th, government and industry leaders convened at the Washington Hilton for the main Summit to take stock of the transformation from documents to data.